Recently a very lovely friend of mine gave me a gift! Its a gift that I have to admit that I had never heard of before, and when I had opened it I was surprised and thrilled. I bet your wondering what my gorgeous little gift is? Well I will show you! I have used this gorgeous gift every time I have showered for the last 12 days, and its still going strong. 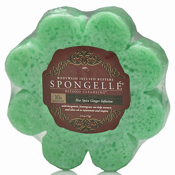 The Spongelle is a beautiful bodywash infused buffer or sponge. This one is known as the Hot Spice Ginger Infusion, and lets just say that I feel fantastic getting out of the shower. Sea Kelp extracts and Olive oil to rejuvenate and inspire. 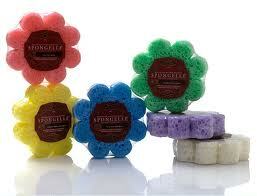 that this Spongelle product really rejuvenates and exfoliates your skin. I love that I get to use it daily, and I love that every day my skin feels as though its been nourished and cared for. I can now tell you from personal experience that using this infused sponge makes you feel beautiful and alive. I have felt great for hours later. Invest in yourself. Invest in your mum or your sister or your best friend! This would be a fantastic Mothers Day Gift…. I know its on my list of desires for Mother’s Day! ← How to Bring out your Inner Goddess!